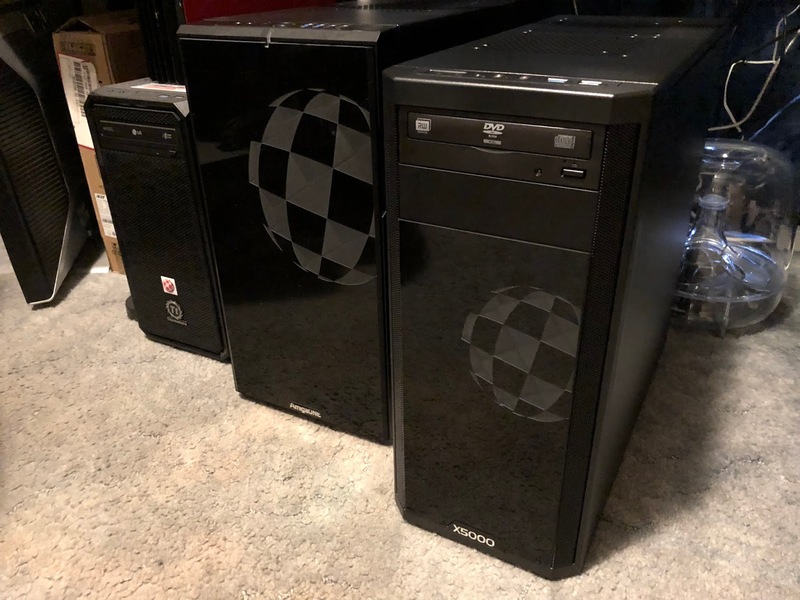 Home » My AmigaOne X5000 has arrived! 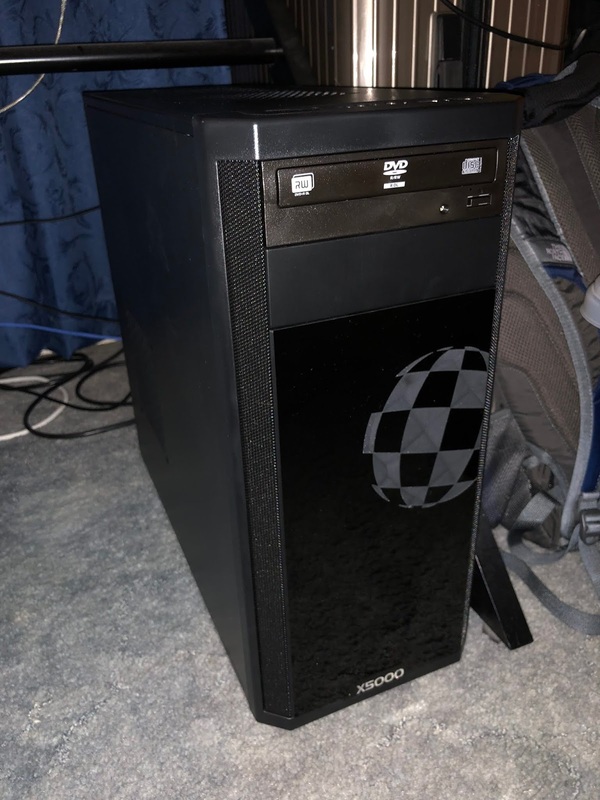 My AmigaOne X5000 has arrived! I am very excited to say that I finally saved up the money to get a AmigaOne X5000, and it arrived in the post this past week from AmigaKit in the UK. To say I am very excited to receive it is an understatement. 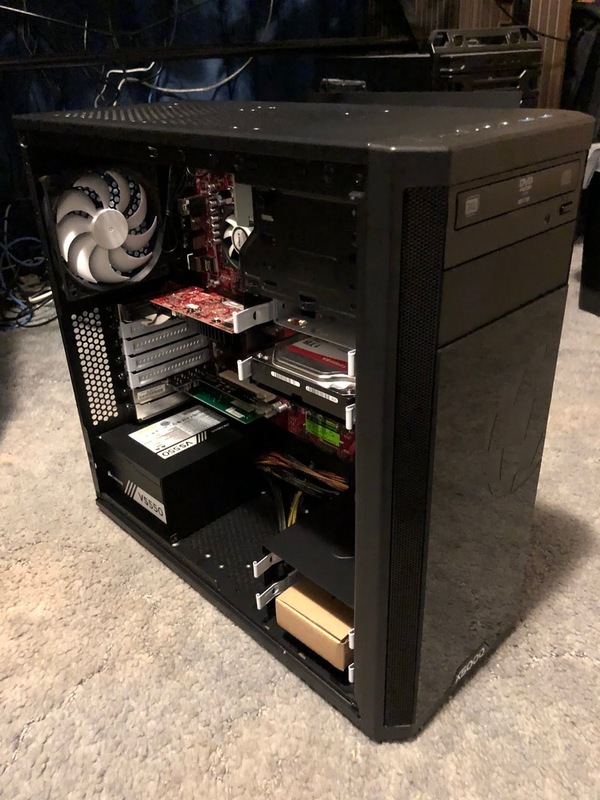 The case is smaller and lighter than my AmigaOne X1000 case. I decided to include a 1TB hard disk, 4GB memory upgrades with this X5000 system. 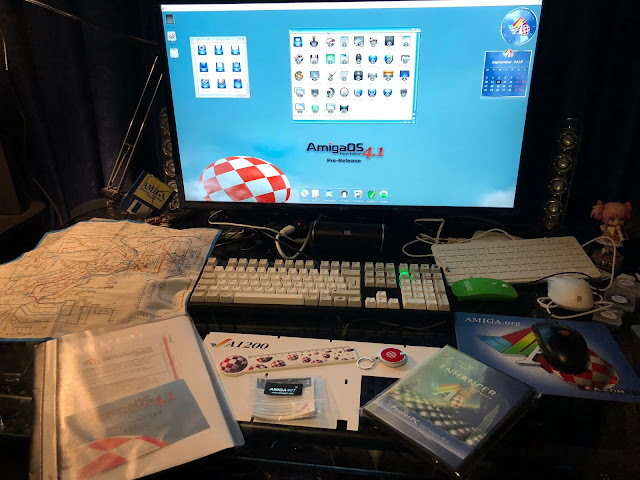 The cardboard box inside the case located in the bottom bays contains the tower case spare parts and most importantly the recovery AmigaOS 4.1 Final Edition USB stick. 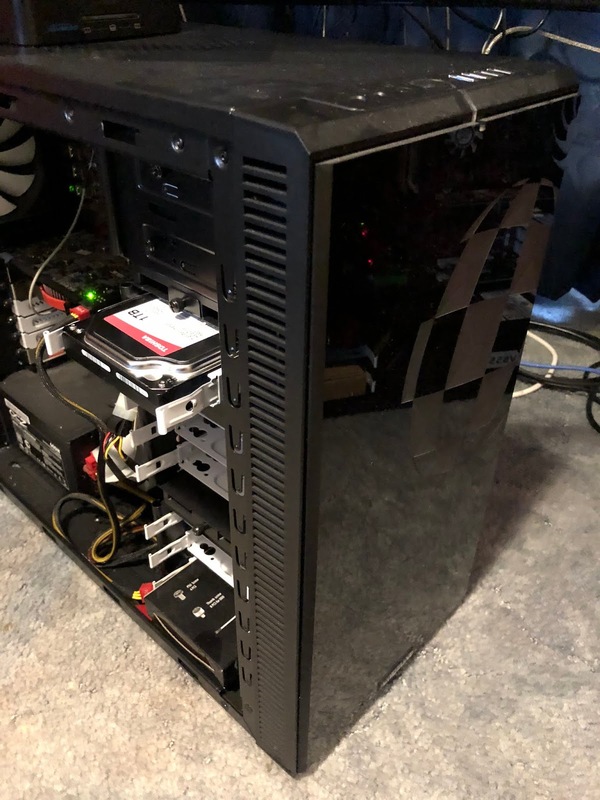 I checked all the X5000 internal cards and cable connections to ensure everything was connected as it should be after it's long trek from UK to Australia! Here is the rear view of the X5000, showing the usb ports, network ports and serial port for troubleshooting. 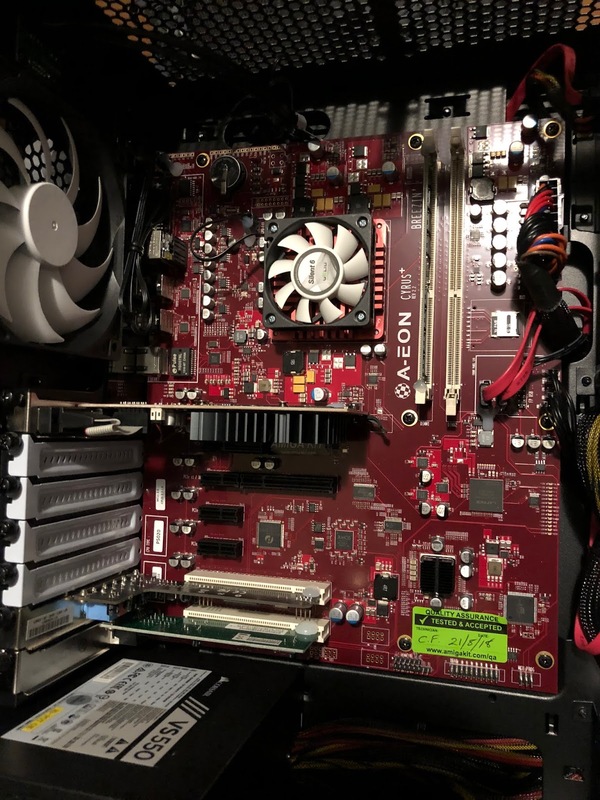 There is a PCI sound card and network card in the bottom of the expansion bays. Unlike the X1000 the X5000 doesn't have onboard sound so the sound card is necessary. 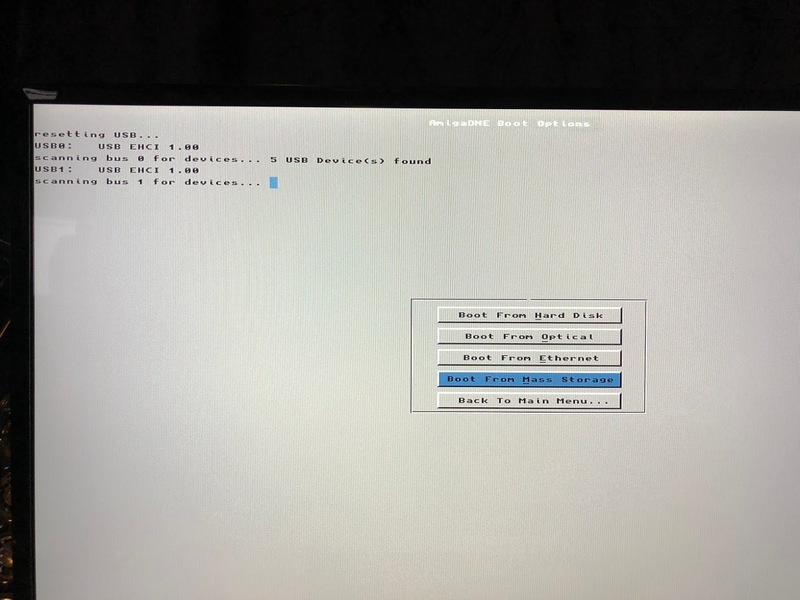 The X5000 does have network driver support for the onboard network ports, but they still include an extra RTL8139 PCI network card with the system too. 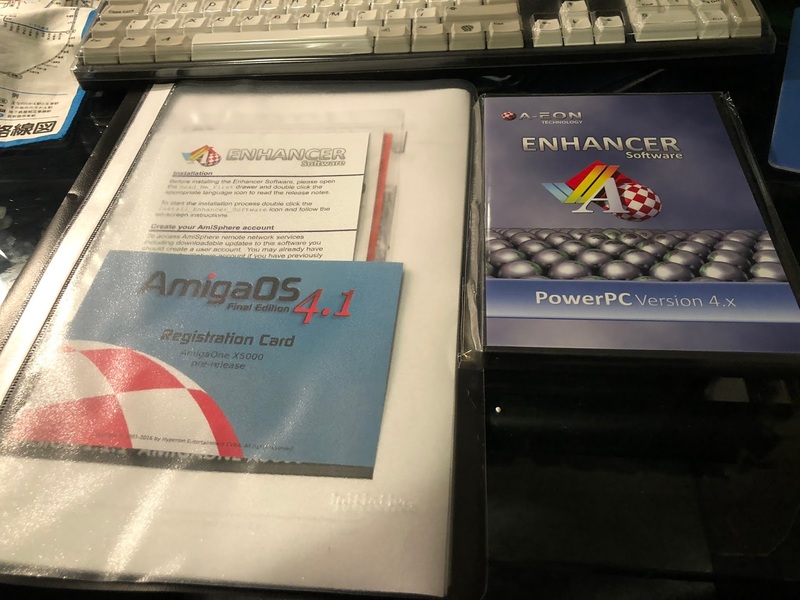 Included with the system is the Enhancer Package CD, AmigaOS 4.1 Final Edition registration card and X5000 technical reference manual. 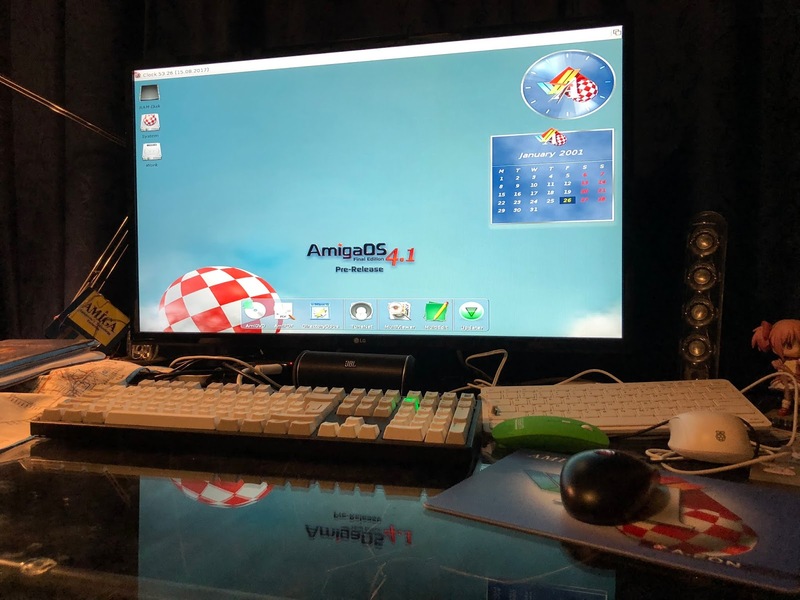 Unlike earlier systems there is no AmigaOS 4.1 final Edition CD included since the version released on the X5000 is a Prerelease version. Instead, as mentioned earlier, there is a recovery USB stick to restore the system if something goes wrong with the hard disk installation that comes with the system. I quickly hooked up the system to try it out. 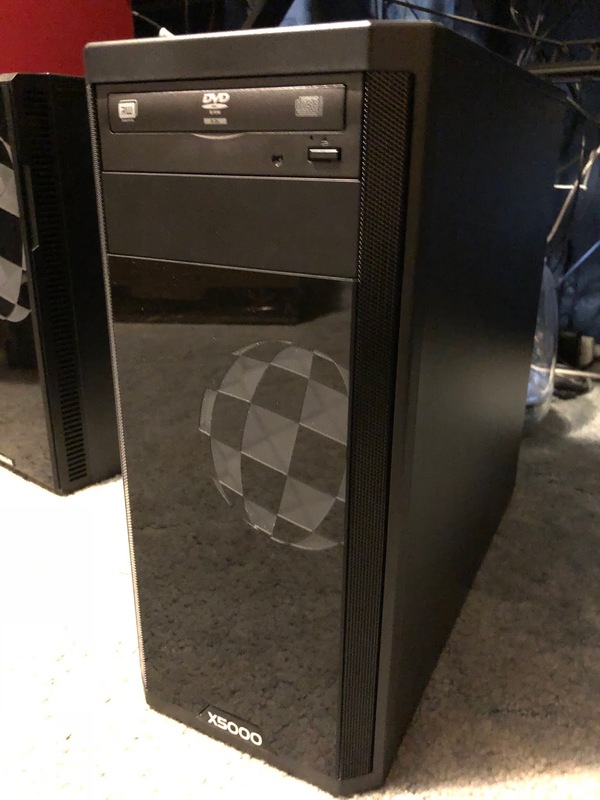 I am pleased to say it booted up first time with no problems! The floppy disk labels will come in handy for me as I have some disks that need relabelling, and the torch on the boing ball key ring has already come in handy! 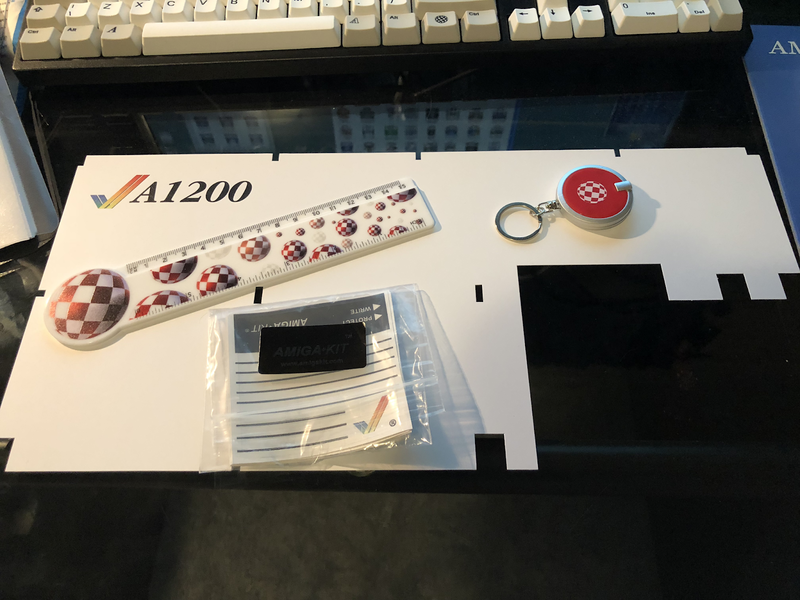 The Amiga 1200 board cardboard cutout frame was an interesting inclusion! Not sure what I will use it for. 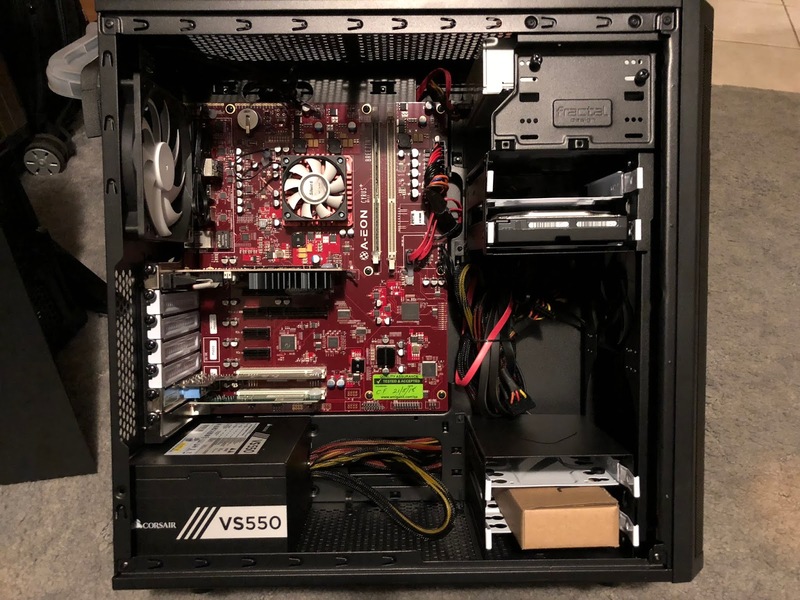 I was thinking to add my 2TB SATA disk to the X5000, but I will need to add a SATA PCI-e card to the X5000 first - it only has two SATA ports onboard - one is used for the DVD drive and another for the 1TB hard disk. 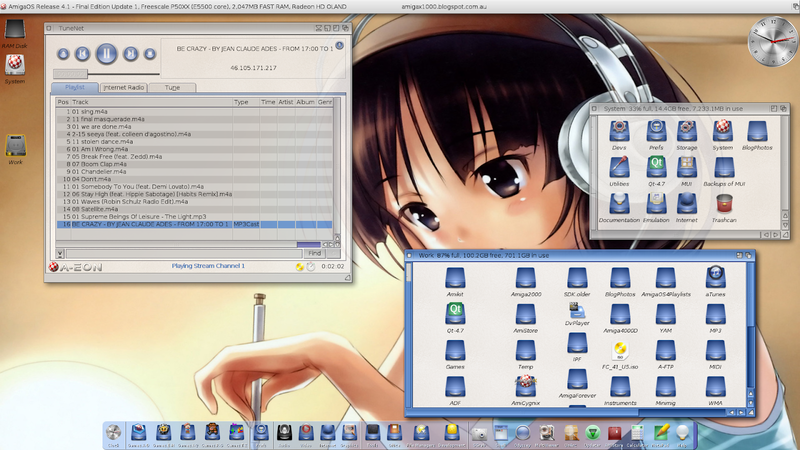 I am hoping to use the extra drive to host data for Linux and MorphOS builds on the X5000 in the future. Unlike the X1000, the X5000 uses the UBoot firmware (similar to what is used on the Sam460Cr and also the upcoming A1222). 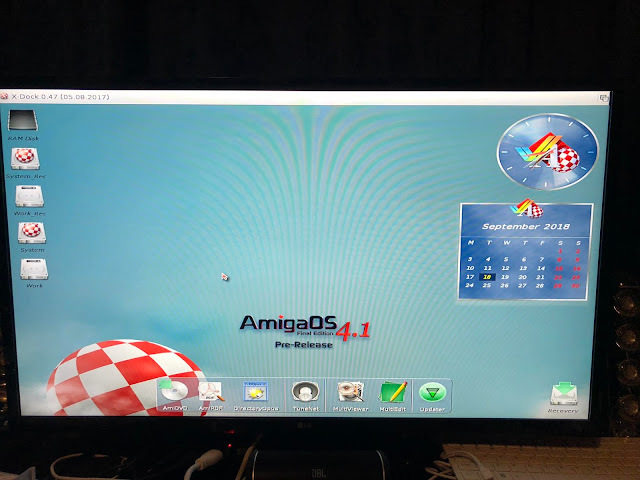 You have an Early startup menu (like the Classic Amiga one) accessed by pressing enter while the X5000 boing ball animation boot screen is running. The firmware is stored on a MicroSD card on the board, making upgrades easier to do and easy to revert in case of problems. This is also on the A1222 system board too. 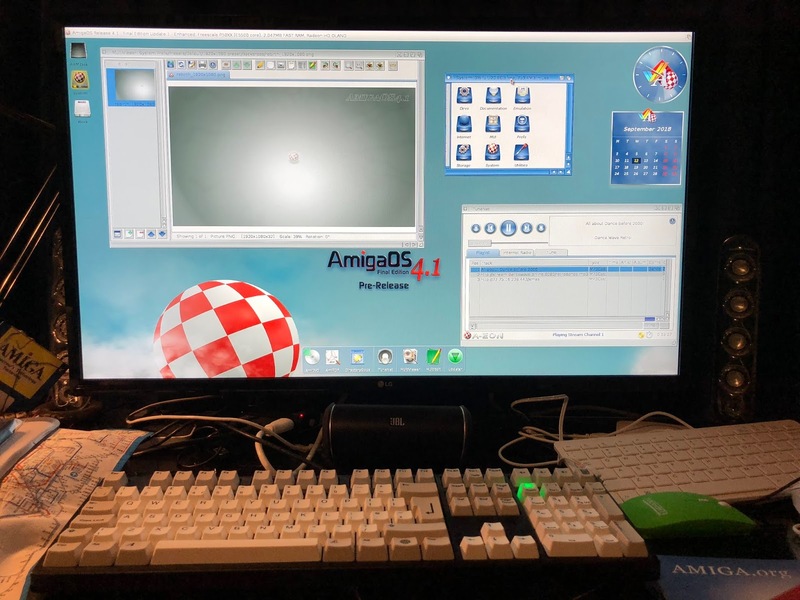 From the UBoot early startup screen you have the option to boot AmigaOS, MorphOS, Linux, other boot options and System Information. My issue here is that everything I use is on my X1000. 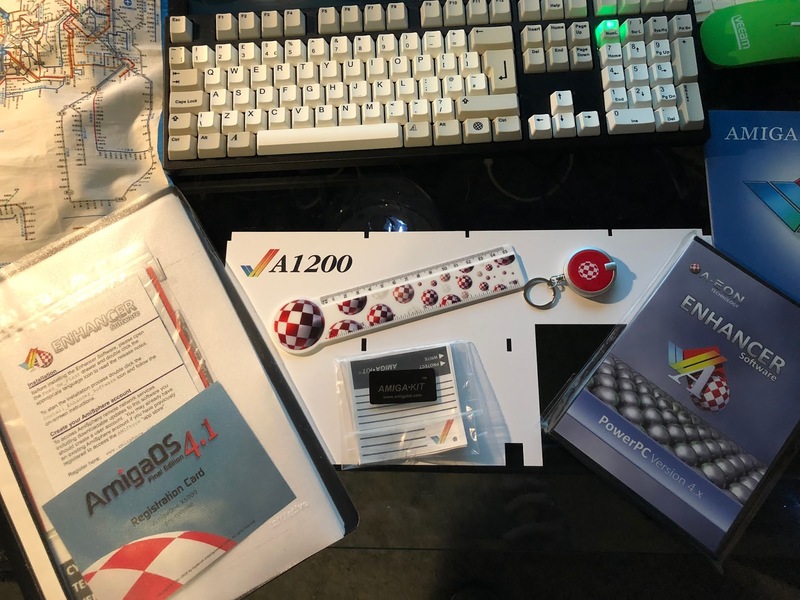 Well over 700GB of stuff, not to mention the 6 years of customisation, upgrades and configuration of AmigaOS4.1 to get it the way I like it. I really don't want to do all that work again. (Yeah I know, lazy Australian, etc).. 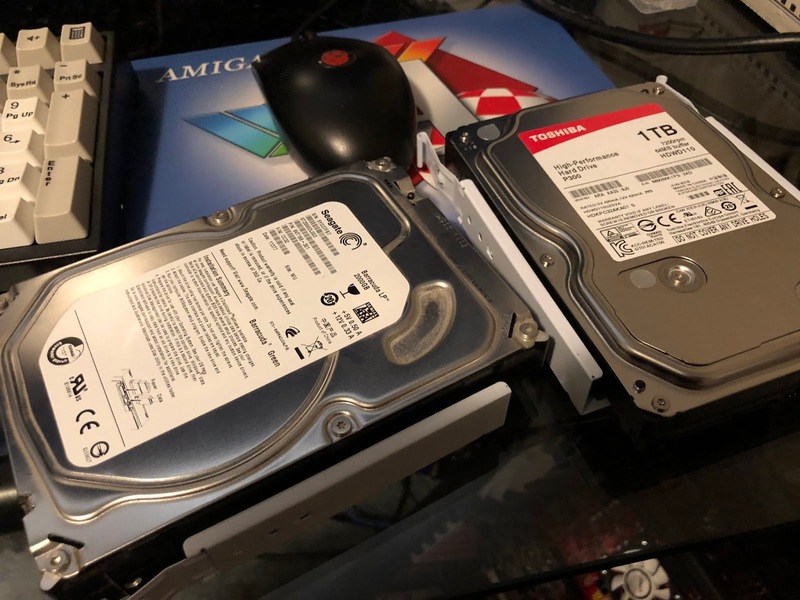 The X5000 hard disk (1TB) is split up into 20GB for the System drive, and the rest for Work partition. My X1000 already has two hard disks in it, the second one being for Linux. So I simply removed the Linux drive and swapped it with the X5000 drive. When the X1000 mounted the Work2 partition from the X5000 drive, it was easy to tell the two partitions apart by the name to avoid mistakes, which is of course why I named the X5000 partition Work2 temporarily..
With the disk mounted I set to work copying the 700GB of data from my X1000 Work partition to the X5000 Work2 partition. This took a number of hours to complete, so I just let it run. On completion, I then created a X1000_System drawer on the X5000 Work2 partition. I then copied the full System partition from my X1000 to that drawer. 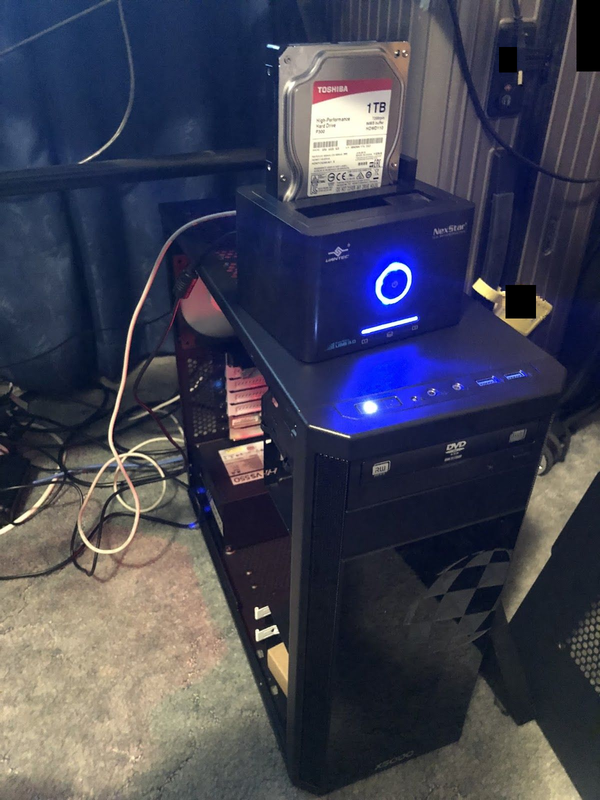 When that was all completed, I took the X5000 drive out and put it back into the X5000 system and booted up the X5000, now with all my data from the X1000. I renamed the Work2 partition back to be Work again. 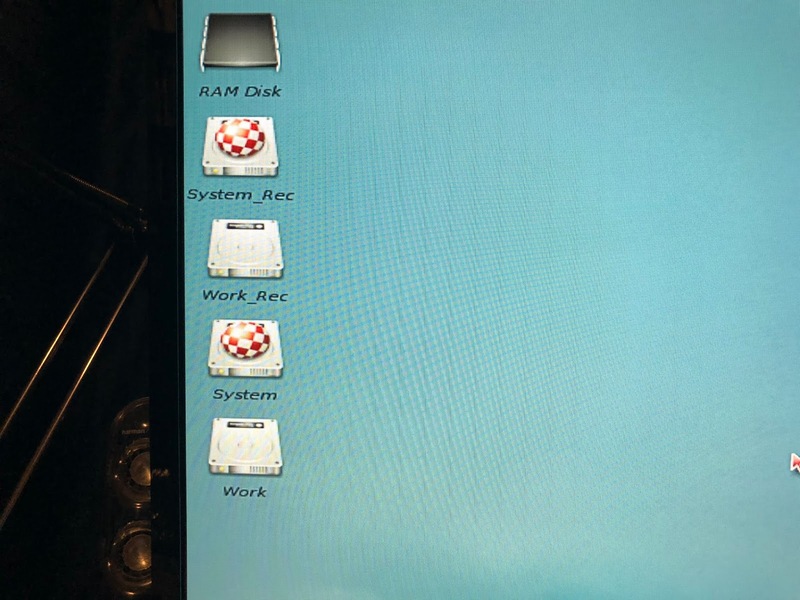 With that done I then created a new drawer on the Work partition called X5000_System, and copied everything from the System partition to this drawer. 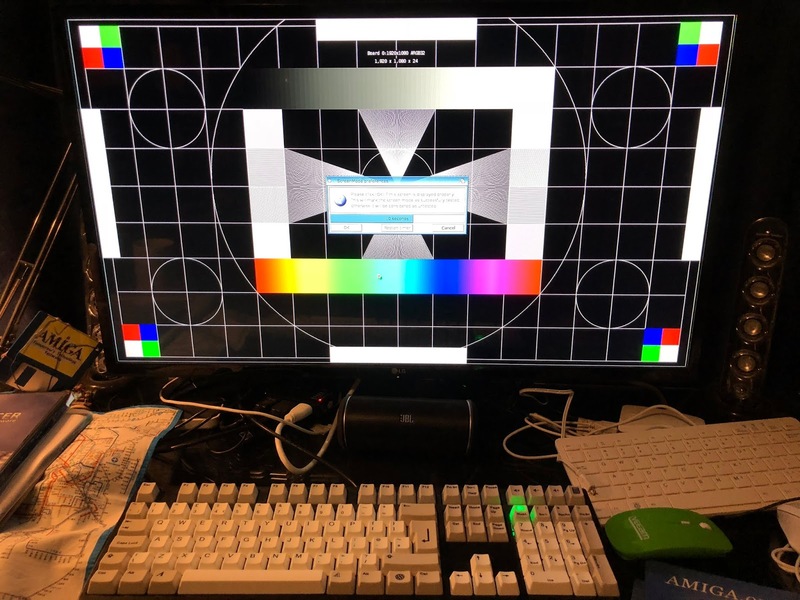 I really, *REALLY*, didn't want to have to do all the work and configuration I did on the X1000 again on the X5000. I decided to copy the X1000 System drawer contents over the top of the X5000 System partition. Yeah I know, stupid right? And so it proved. I thought I could stop problems by changing the System:kickstart/kicklayout file to be the X5000 version and not the X1000 version. I was partially right but not completely. 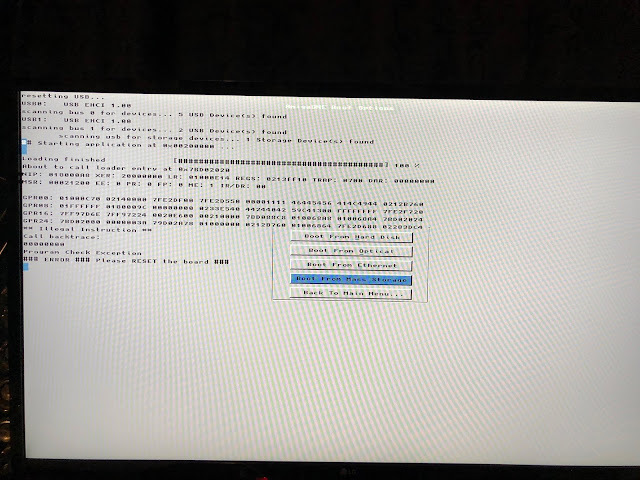 I also removed the catweasel DF0 dosdriver since it is not installed on the X5000 and know it would cause problems. I thought that would be enough - I was wrong. Don't do what I did! 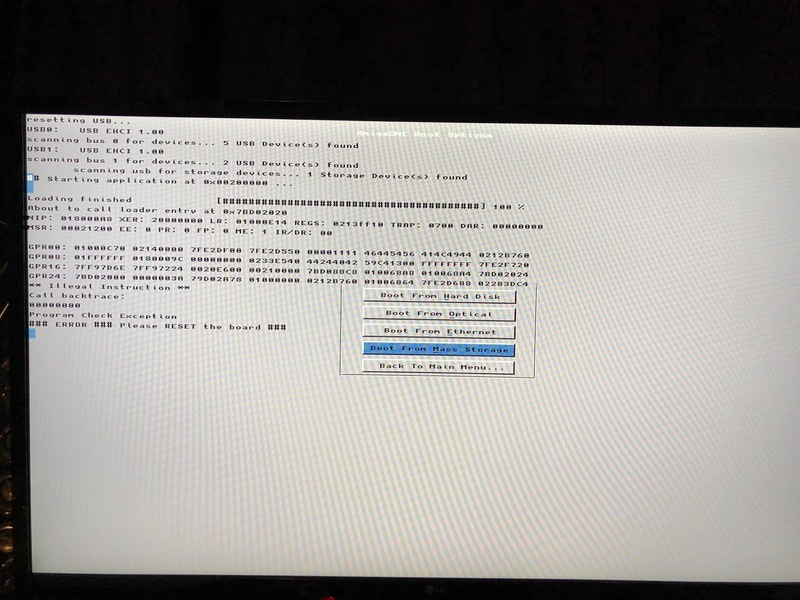 Sure enough, after rebooting the system wouldn't boot. I realised what I did wrong instantly but fixing it meant using the USB recovery stick since I could no longer boot to a working system. 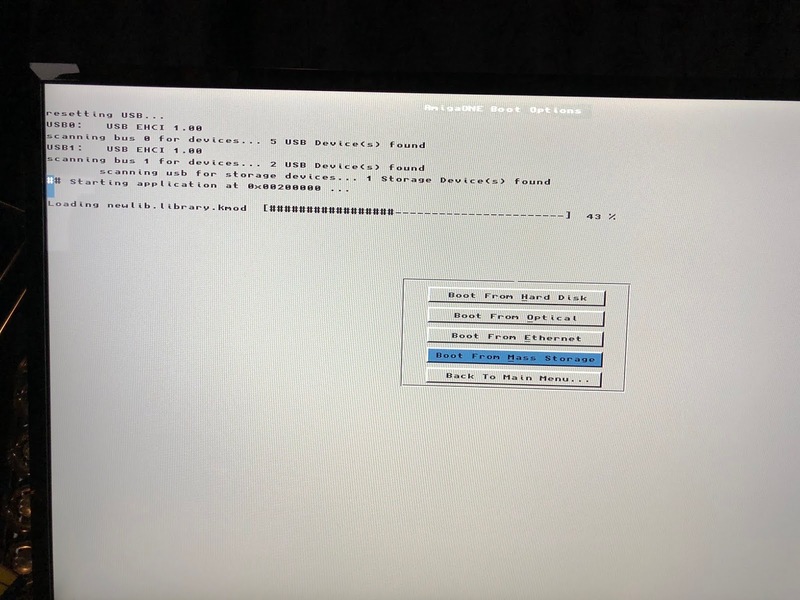 To resolve this, I removed the 1TB SATA disk from the X5000, and connected it to the X5000 via a SATA to USB adapter instead, after the USB recovery stick had loaded successfully on the X5000. Note also that the USB recovery stick should be installed in the bottom USB ports at the back of the X5000. Yes, I have a Workbench screen again! 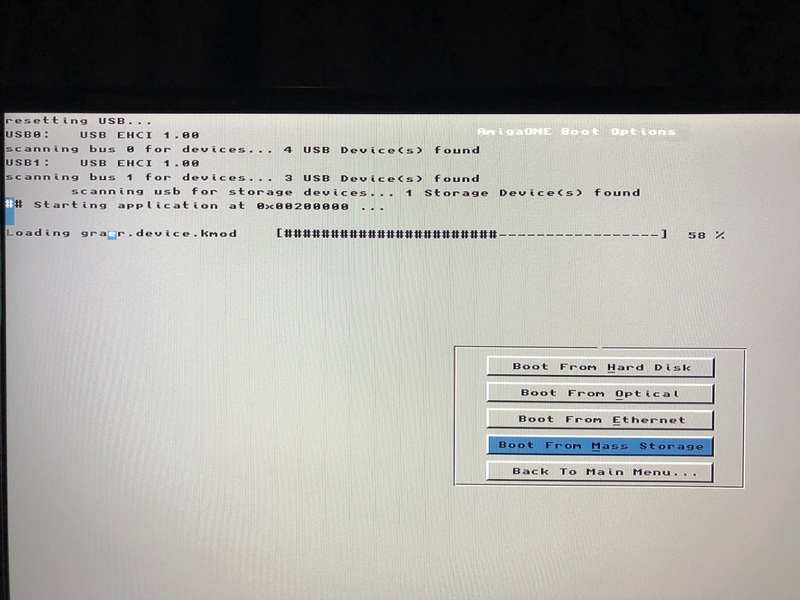 With the USB AmigaOS 4.1 Recovery stick loaded, and the SATA disk connected via the USB to SATA converter, I could see the partitions (as above) and now fix my mistake, all thanks to taking a full backup first. Of course I wanted to fix my mistake, but still don't want to lose my X1000 configurations. I don't want to do that work again. It took my 6 years of playing around to get it where it is. 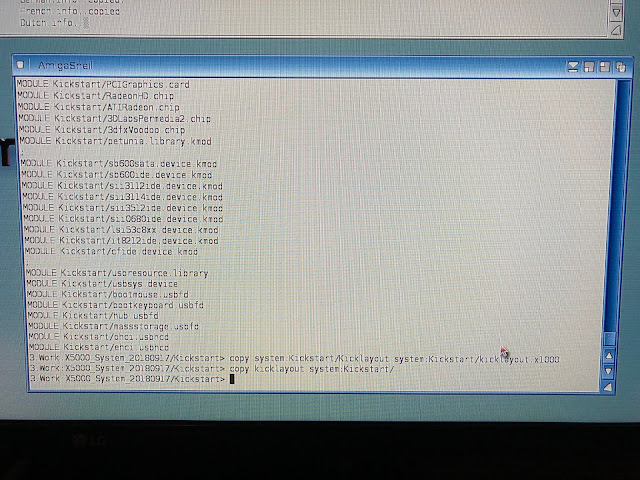 So, to fix the problem I created copying the X1000 System backup drawer contents over the X5000 system drive, I first copied the full Kickstart drawer contents from the X5000 backup drawer on the Work partition to the System:Kickstart folder. This restores all the critical modules needed for the X5000. This was my main mistake in the process - I forgot to do this step, and only restored the kicklayout file. I then did the same copy process for the Devs drawer and C drawer as the X5000 version contains different versions of programs to the X1000 contents. These steps still keeps all my X1000 installed programs since it would only replace the X5000 needed files and not everything. I avoided copying over Prefs, S, etc, since all my X1000 settings and customisations are in there. 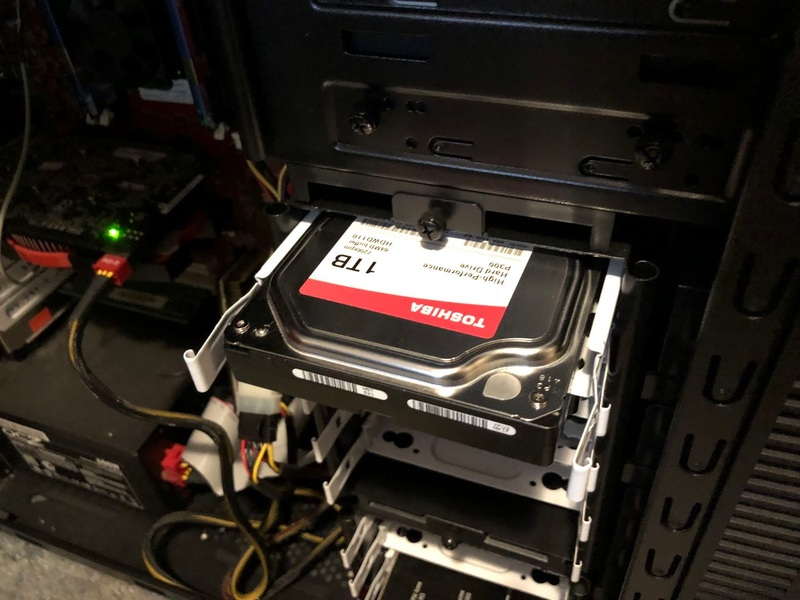 With that done, I then turned off the X5000, removed the USB stick and reconnected the 1TB SATA disk back into the X5000 SATA port. But I needed to fix up the internet settings for the network adapter, as the network adapter used in the X5000 and X1000 is different. 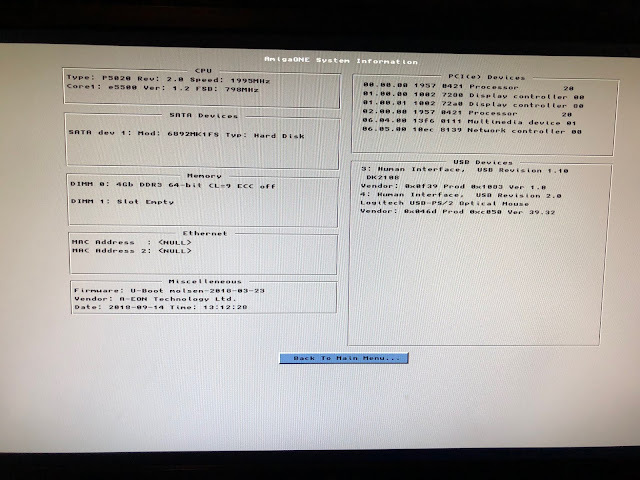 I removed the incorrect X1000 adapter and added in the RTL8139 adapter in the X5000, restarted the network services and this was fixed. 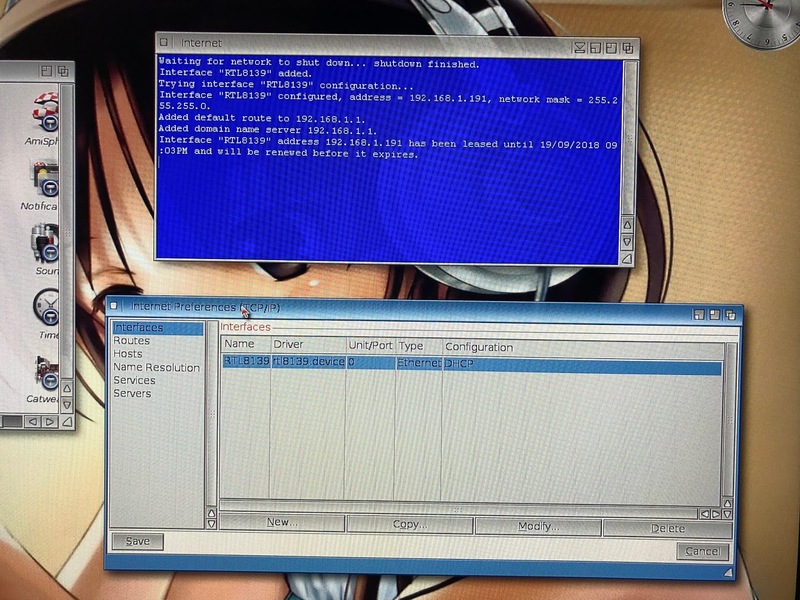 I also learnt a lot about how to recover the X5000 system, which is a good thing to know. Admittedly I didn't expect to have to learn it so soon but hey, it's all ok now. 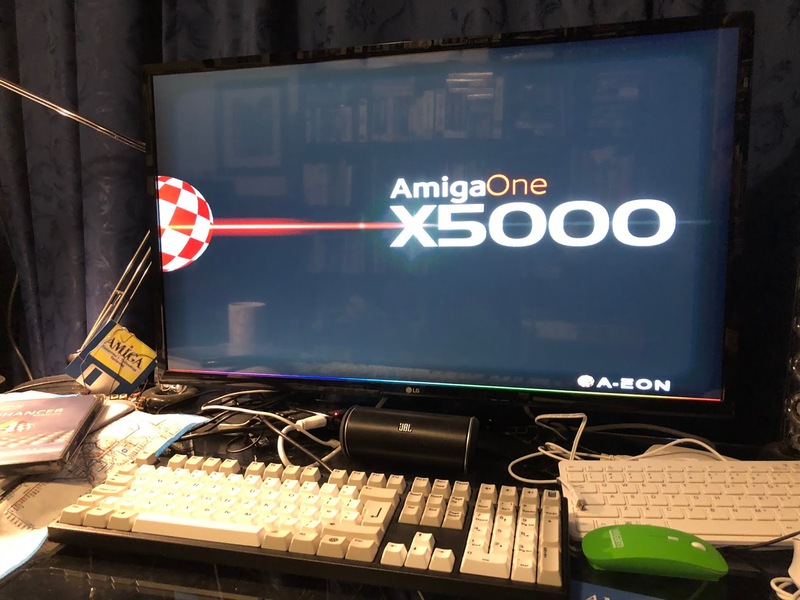 I need to address some other points, like replacing Altivec versions of video players, etc, with non-Altivec versions as the X5000 doesn't have Altivec support, and linked library references but that will come later. 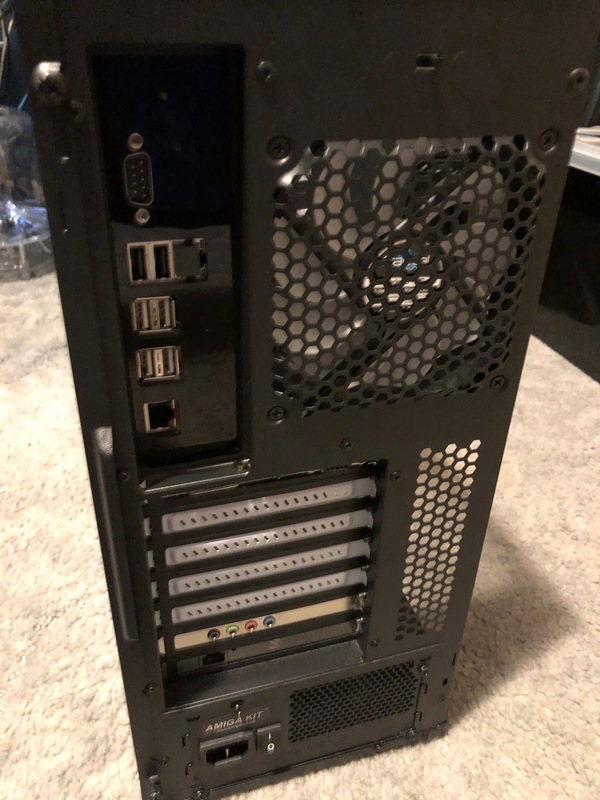 Something to note with the X5000 is that the USB ports on the top of the tower case don't work. This is because they are USB 3.0 ports and the X5000 board doesn't have support for those ports. 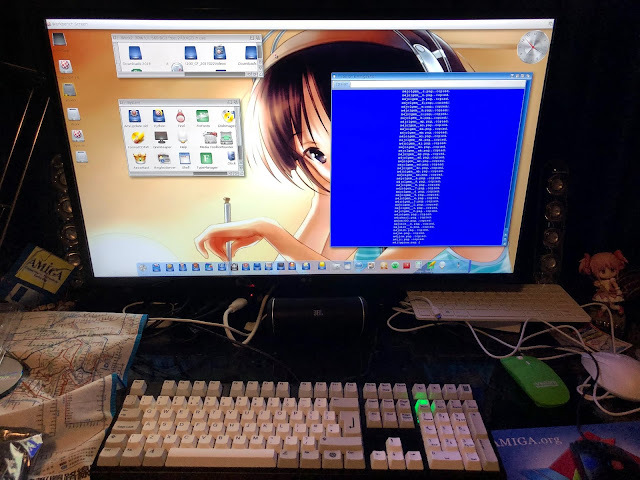 The A1222 board had the same issue with the case I bought for it, and I solved it with a USB 3 to USB 2 header converter cable. I have a lot more to do yet with this X5000, but I will cover this in future blog entries. I am very glad to have the system at last!